Families rely on their kitchen appliances, so refrigerator repair is a hassle. Any way to minimize the time your refrigerator is out of service is a huge plus. The professionals at Nick's Refrigeration and Advanced Appliance in Spencerport, NY, have seen it all when it comes to fixing appliances, so they know how to get yours running quickly. Condenser Coils: When your fridge loses its ability to stay cold, a problem with the condenser coils is likely the culprit. They may need to be cleaned so air can move freely through them, but sometimes they must be replaced. Circuit Board: Without a circuit board to control the electronics, a fridge can't run properly. Circuit boards can burn out, but a replacement designed specifically for your refrigerator model can be provided by your local appliance service shop. Condenser Fan Motor: The condenser fan is common on many types of refrigerators and allows cool air to move throughout the appliance. With a broken motor, this fan can't do its job. Water Inlet Valve: This valve regulates the flow of water in a refrigerator's icemaker system. Broken icemakers are common now that most fridges have them built-in. Evaporator Fan Motor: This motor powers the fan that circulates cold air in the freezer compartment throughout the rest of the fridge. This part usually has a long life cycle but can break down, especially if it becomes clogged. Before spending a fortune to replace your major appliances, get them repaired by Nick's Refrigeration and Advanced Appliance. 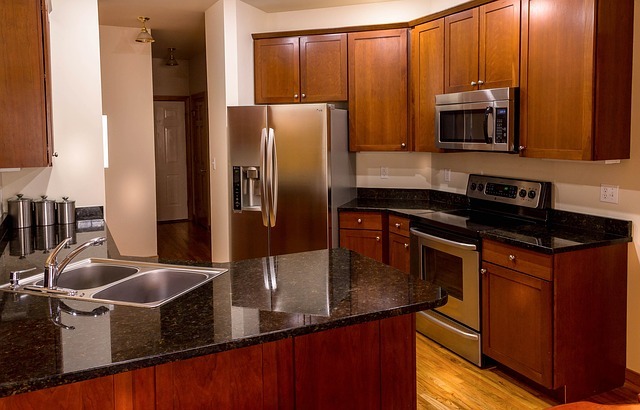 Their appliance repair experts have been serving the Rochester, NY, area since 1955. Visit their website to learn more about the company, and call (585) 663-5610 to schedule a service call. What is the Difference Between Convection and Standard Ovens?